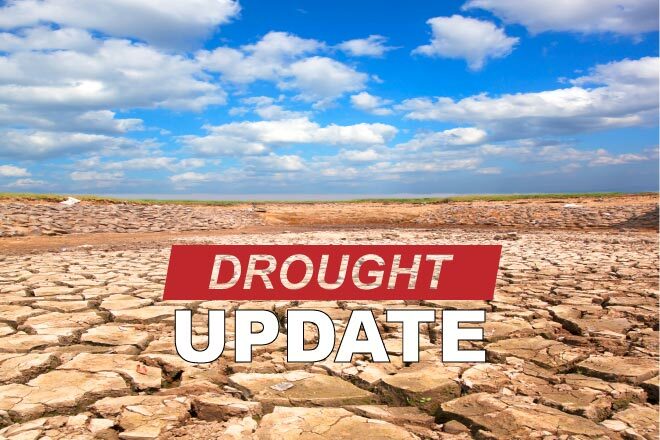 Central Archuleta County saw in increase in exceptional drought - the worst category - with the remainder of the county in extreme drought after recent improvements. 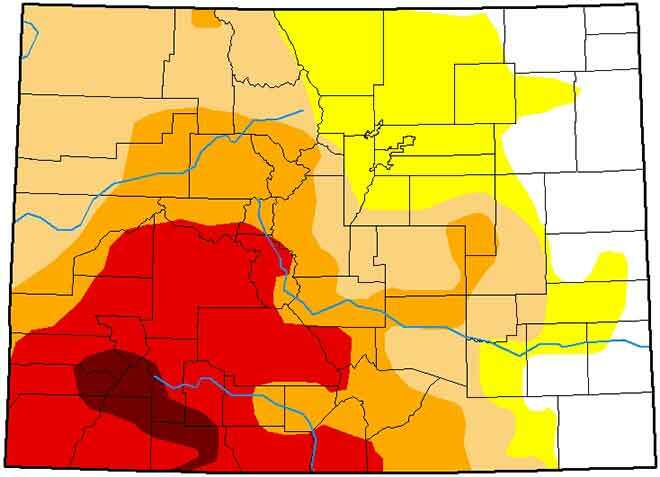 One year ago, just one percent of the state was drought-free, while 28 percent was abnormally dry. Forty percent of Colorado was impacted by moderate drought, with the remaining area in severe conditions. River basins across the state have all reached 100 percent or more of the median snow water equivalent - a measure of the water content of snowpack. Statewide, SWE stood at 109 percent, up from 104 percent February 1. The San Miguel, Dolores, Animas and San Juan basin reached 102 percent of median, up from 89 percent, while the Upper Rio Grande basin moved from 88 to 100 percent. Both basins had been below the median for the year prior to the February 10 report. Remaining basins in western Colorado showed slight improvements for the week and remain well above 100 percent. 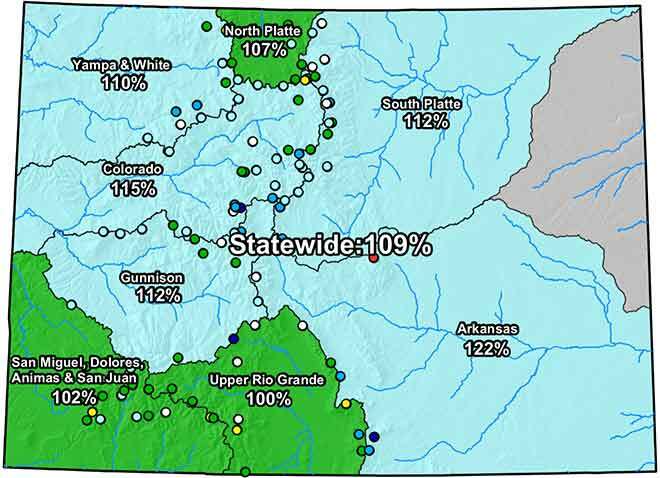 In eastern Colorado, the South Platte and Arkansas basins slipped slightly but remain strong at 112 and 122 percent, respectively.